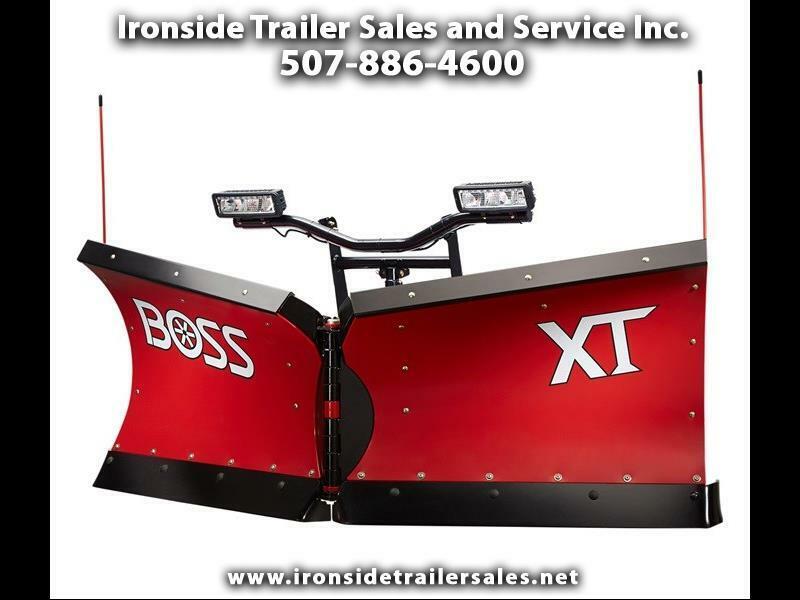 New 2018 BOSS 9.2 SXTV Steel for Sale in Harmony MN 55939 Ironside Trailer Sales and Service Inc.
Ironside Trailer Sales and Service Inc. The BOSS XT's flared blade wings and enhanced curl design throw snow higher and farther than conventional plows. The poly XT is protected by a superslick polyethylene surface that keeps snow from sticking. To resist corrosion and outlast the elements, the steel XT has a baked-on, powder-coat paint finish with exclusive zinc primer. BOSS is pleased to introduce two stainless steel XT models, with the same features as the poly and steel models. The BOSS XT is a classic, proven innovation from BOSS that's built to BACK YOU UP. Full Moldboard Trip Design helps to prevent plow damage when an obstacle is encountered. SmartLight 3 uses 100% LED lights with an 8-10 year life expectancy and Ice Shield Technology to prevent snow and ice build-up. Chainless Hydraulic Cylinder Lifting System greatly reduces bounce during transport and provides full float capability. Patented Snow Catcher in the center section is designed to catch snow at the plow's pivot point, so no snow lines are left behind. We sell, install, and service Boss snow plows. Stop in and see our selection at Ironside Trailer Sales in Harmony, MN or call 507-886-4600 with questions.